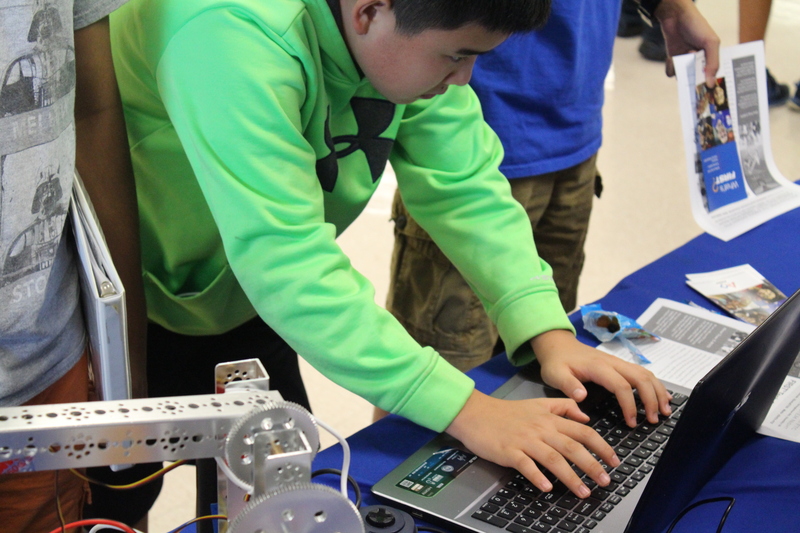 This is probably the first ever STEM night hosted by Rocky Run Middle School, and it was a blast! 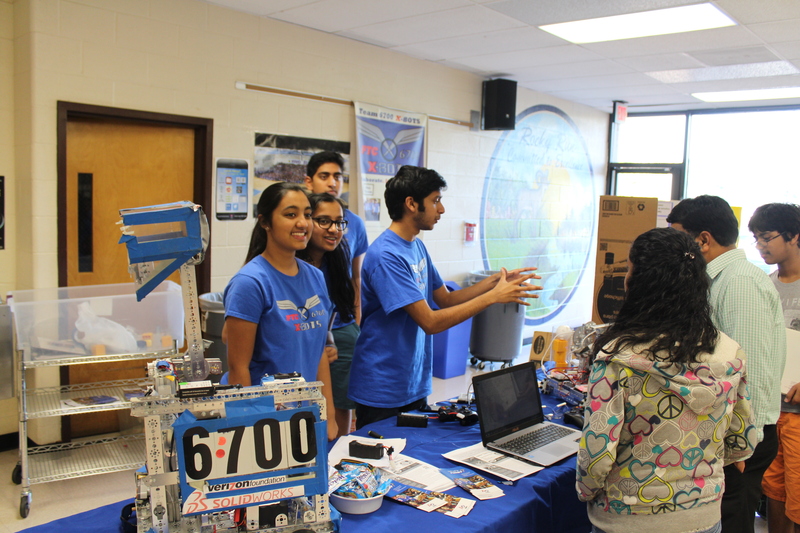 There were lots of activities on display, including Math Club, Science Olympiad, Astronaut Club, Lego League, and we were happy to join the event as the FTC Robotics demo team. Thanks to the Principal Dr.Terrell, after-school activities co-ordinator Ms.Sperling and the PTA for hosting the event. 1.The turnout. 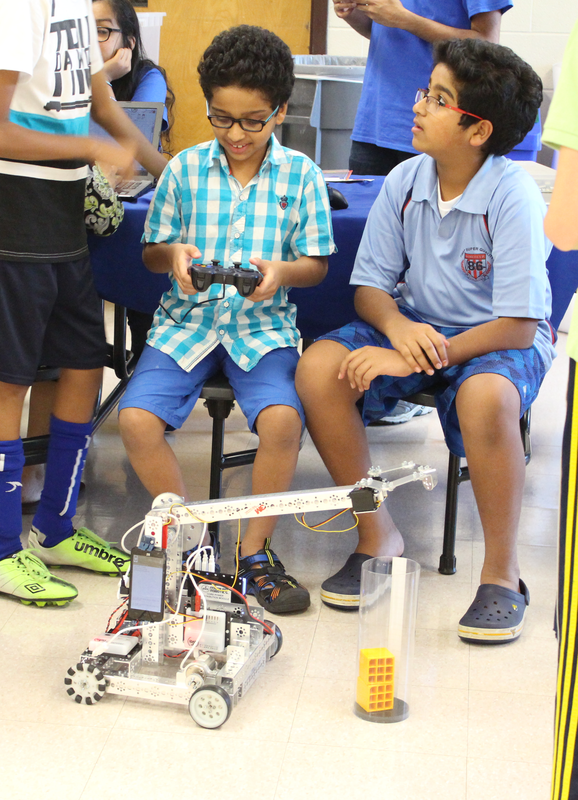 The kids were very excited to drive our robot: This is the first time we are demonstrating our Android technology based robot, and it was exciting for many kids ranging from 6 to 60 and even older perhaps? 2. How effortless it was to set up the demo robot in a new public place, and get it going with new Android technology, specifically Wifi Direct. The old bluetooth worked almost as well, but for sure, gone are the days of Wifi connectivity hassles inevitable at large public venues always sporting poor WiFi due to large crowds. 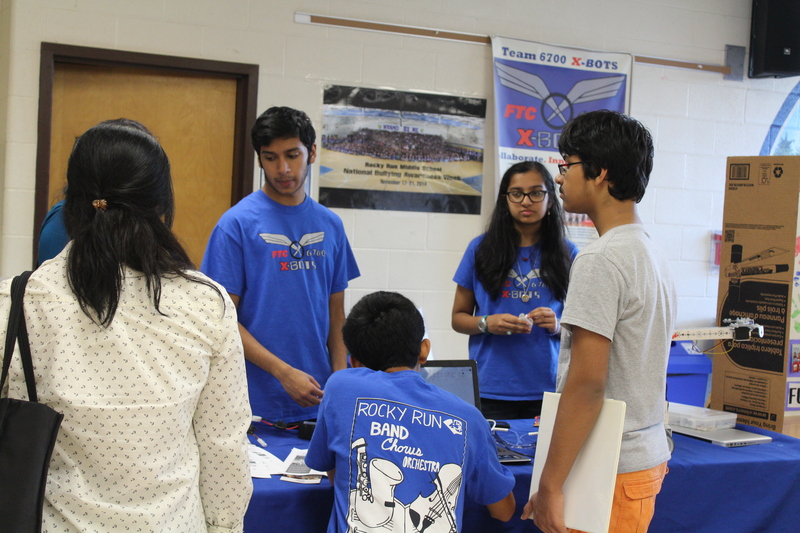 PS: Did you know that Rocky Run was one of the first middle schools to have students on FTC teams? 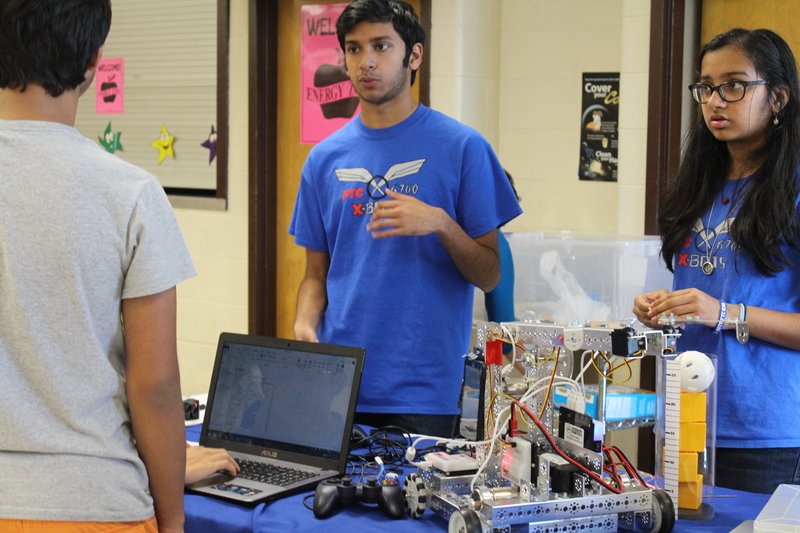 X-BOTS was one of the three teams that started in 2012. 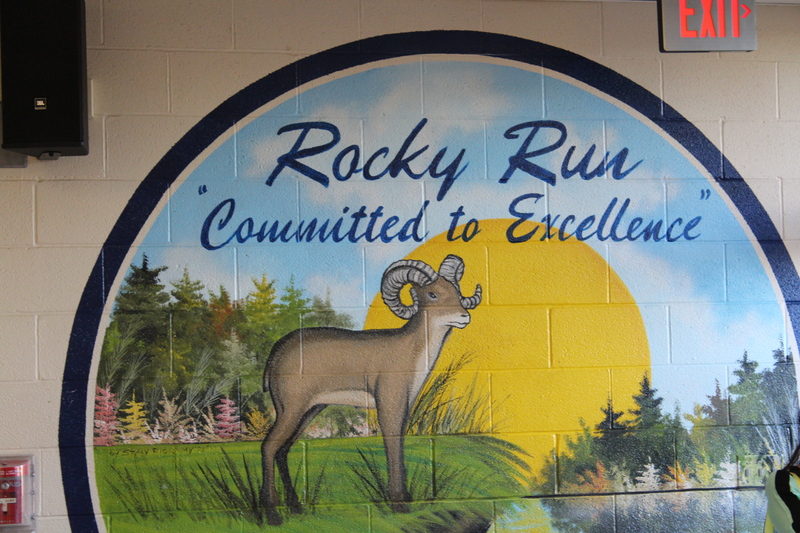 Today we are happy and excited to mentor and support new teams forming at RRMS. Previous Post FIRST RES-Q! 2015-2016 Season Game is here!! 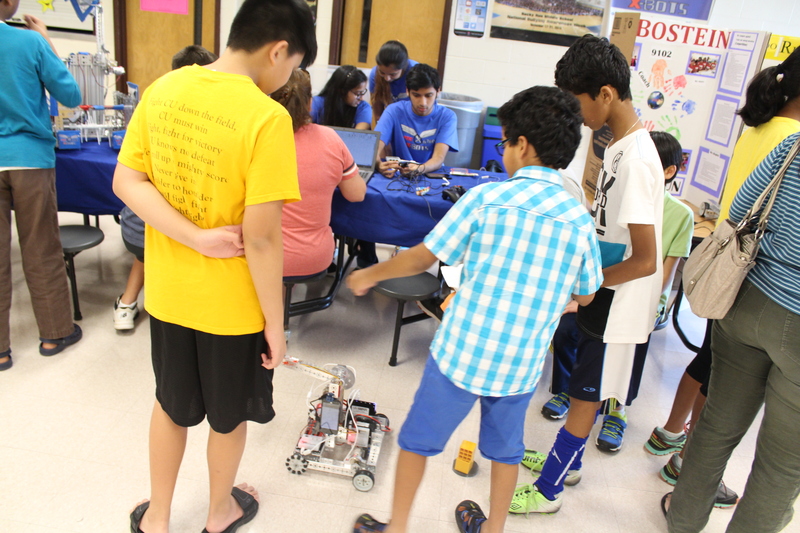 Next Post New FTC Team @RRMS!